It's back!! 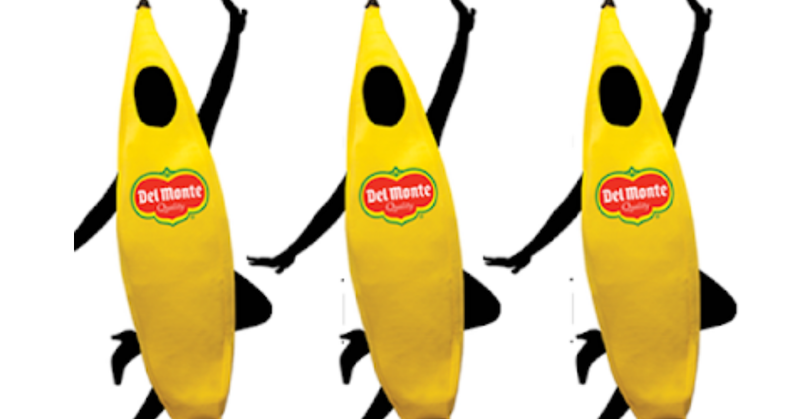 Every year Del Monte gives away their infamous Banana costumes. This year they are having the Banana costume giveaway on Instagram! If you aren't yet using Instagram you really should consider starting. More and more brands are leaving Facebook and heading over to Instagram to give away their awesome prizes. Here are 7 tips for Instagram newbies to help you get started. Everyday from October 1 - October 20 2018 they are giving away 5 FREE banana costumes! 100 costumes in total to be won! Enter to win an Banana costume!